Besides their band name consisting of a couple of my favorite things (vinyl, and the spelling of “theatre” as opposed to “theater”), these Milwaukee guys can write a mean alt-rock tune! Through the power of social media, I was able to stumble upon these guys on twitter and I have been a fan ever since! The vocalist’s tone has hints of Ben Gibbard’s sincerity, while the instrumental back-ups boast catchy guitar licks and pulsing vibes that are undeniably toe-tapping. 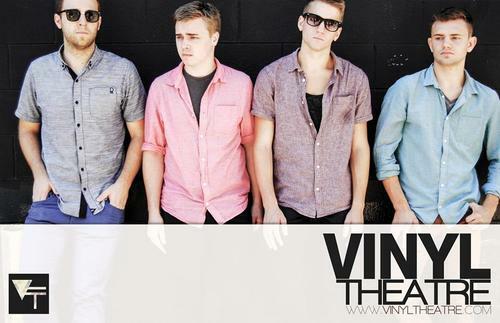 Fans of Barcelona, Young the Giant, Postal Service, and Two Door Cinema Club will likely approve of Vinyl Theatre!